I reviewed Holding Back as part of Rosie’s Book Review Team. I’d like to thank Rosie for organizing the Review Team and Helen for allowing me to read and review her novel. If you fancy a pleasant journey and holiday romance in sunny Portugal in summer, this is a novel for you. 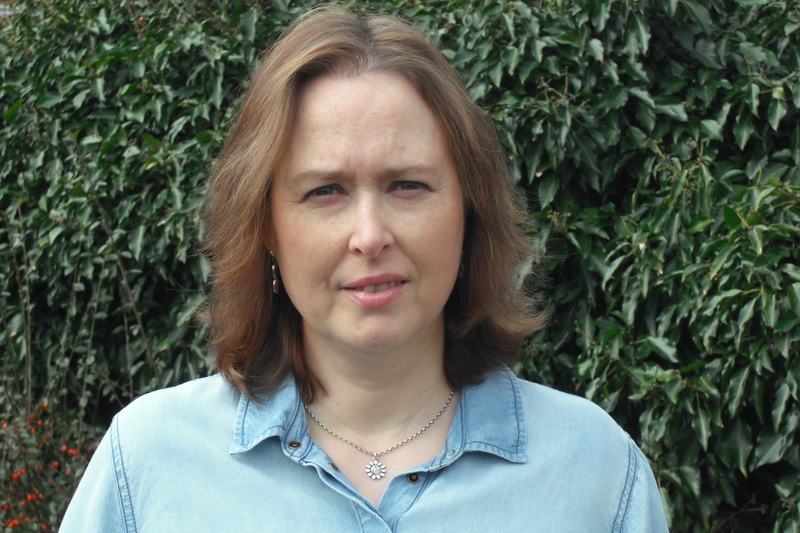 Laura is a dedicated teacher who helps her best friend from college at her husband’s family’s delightful hotel, in exchange for a room and the run of the place for a few weeks of her summer holidays. Although she’s contented with her life, she has some unsolved personal issues which are obstructing her chances of happiness. Daniel is an assertive and hard-working hospitality company manager who is tiring of travelling and avoiding his ex-girlfriend. Daniel and Laura meet at the airport, and later at the hotel where he’s a guest. They’re both afraid of emotional commitment, yet missing a more meaningful relationship, and although they meet at the right place and the right time, for a romantic interlude, they’re both reluctant to take their unexpected attraction any further than friendship. However the intervention of their family back home, months after the holiday will give them a second chance. I read it in one enjoyable sitting. The main characters are authentic and likeable, the plot is plausible and unassuming. The setting is idyllic, small coastal towns in northern Portugal, and the happy ever after ending brings a tear of relief to the eye. What’s not to like about it? What would you say to convince someone to read Holding Back? 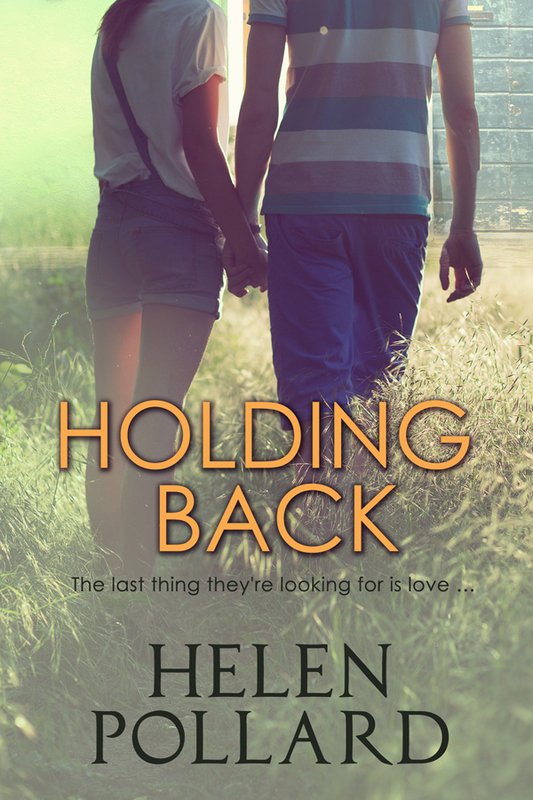 If you like sunshine and an interesting location to go along with your romance, Holding Back is set in beautiful northern Portugal. I’ve had a lot of compliments about how well the setting is described, taking you on a ‘virtual’ trip there! In fact, it was the place itself that inspired the story. I’d visited that area of northern Portugal a couple of times a few years ago and those memories stayed with me until my imagination came up with the characters and story for Holding Back. I’ve just finished a story set in the Loire region of France. It’s quite different from my previous two books, as it isn’t a straightforward romance. It’s contemporary women’s fiction with down-to-earth humour and just an element of romance. I hope to find a home for it soon! When I’m writing, I work really hard on the characters and dialogue. You can have the fanciest plot in the world, but if your characters aren’t believable, the story just won’t work – especially in a romance. I don’t do a detailed outline at the start – I’ll have a basic premise in mind, and certain points or events that I definitely want to get to, but beyond that, I allow my characters to take me where they want to go. It’s more fun that way! I’m also a compulsive edit-and-polisher – I tweak and tweak until I feel my story is the best it can be. Thank you for visiting my blog and telling us more about yourself, your novel and your writing process. It was a pleasure to have you in my Spotlight. 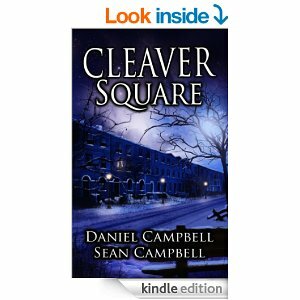 Review of Cleaver Square by Sean and Daniel Campbell for Rosie’s Book Review Team. Cleaver Square is a well-plotted detective novel. I enjoyed travelling around London with Detective Morton, I also liked the detailed police procedural and scientific information, including autopsy reports and legal issues. At times it was like watching an entertaining crime film, with all the intricacies of a complex investigation. The plot was cleverly designed and well-developed by Sean and Daniel Campbell until the final surprising twist is revealed. It’s narrated in third person, although the narrator is sometimes omniscient and sometimes, takes the point of view of one of the characters, such as Morton or Charlie Mathews, a young boy in a foster family, who is an essential component of the plot which will gradually develop throughout the novel (I don’t want to add any spoilers). The prose was mostly easy and pleasant to read. It’s definitely a plot-driven novel, because the emphasis is clearly on an external conflict, in this case a murder, and its solution through a specific sequence of events, in this case tracking down the criminal. There is a great deal of action involved, and both the dialogue and the action are mainly concerned with unveiling the plot and solving the issue at hand. In this aspect there is no objection, the plot was correctly and smoothly conveyed. On the other hand, there is an aspect which made it hard for me to enjoy the novel as much as I would have liked. I felt it lacked character development. I personally prefer character-driven novels where the emphasis is on personal conflict and the relationships between the characters. Character driven novels do not have a tangible or specific outcome. They are more concerned with how the characters cope with conflict, how they make decisions, and how these decisions affect their relationships with each other and their lives in general. The outcome is often a change of attitude, or a new situation in the characters’ lives. There is often no specific or definite solution or conclusion. I like to meet people when I read a novel, and I enjoy it when the characters to stay with me after I finish reading. Most novels combine engaging characters and a compelling plot to varying degrees, but in this case, I felt that the lack of character development made it difficult for me, at times, to connect with the story itself, because I wasn’t interested in the characters themselves and what happened to them. As a result, I almost lost interest in the solution of the crime. I would have liked to feel more involved with the people in the novel. Overall I’d say that if you enjoy a well-plotted detective novel, set in London, with an unexpected final twist, you’ll enjoy Cleaver Square. 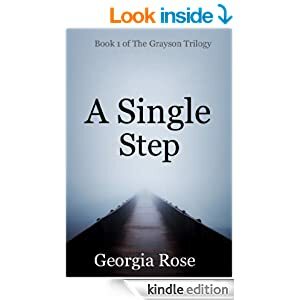 Review of A Single Step (eBook 1 of the Grayson Trilogy) by Georgia Rose. 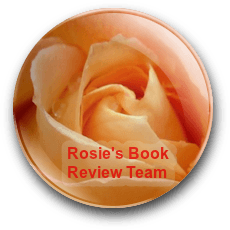 For Rosie’s Book Review Team, by Luccia Gray. A single step is an enjoyable and entertaining, contemporary, romantic suspense novel, which I highly recommend. It is well written with easily flowing prose, which invites the reader to sail into the smooth narrative. The author is in no rush to expose the plot, spending the first part of the novel gradually showing us where the action takes place, and who the characters are. It is not a fleeting romance in which love at first sight leads to a brief and intense affair, followed by lifelong commitment, which often proves to be too escapist. Quite the opposite, the romance is compelling, yet presented in a ‘no rush’ approach. Tension is gradually built up, with a few twists and turns, until the incipient romance between two complex characters materializes. This well-devised, progressive build up becomes part of the enjoyment. The suspense elements keep us gripped to the story, avidly turning page after page (I couldn’t put it down), as the characters’ motivations and backgrounds are slowly revealed. Many surprises await the reader as nobody is who they seem, even the idyllic location where the story develops, holds surprises. I don’t want to give anything away, because I hope all of you who are looking for a cozy afternoon-evening read, will spoil yourselves and read this lovely story, but one of the characters says: ‘I enjoy the chase, and let’s face it, no one has had to chase a girl as much as I have had to chase you.’ And that’s how the readers will feel, that they have been chasing Grayson, too. Emma Grayson, the narrator, is the most developed character. We feel we understand her tormented feelings, and sympathize with most of her actions, by the end of the novel. On the other hand, I thought it was a pity that the other characters did not come fully to life, and served mainly to support Emma. When this happens, especially when one of the characters is the only narrator, I often feel sorry for the other characters we’ve been introduced to, but are unable to get to know. Although there is no cliffhanger ending, there are some untold stories, within the novel, and most importantly, the reader has built up an interest in Grayson, and what happens to her. As it is part of a trilogy, I trust we will discover more about the characters and events in the following installments, which I look forward to reading. Finally, I would like to thank Georgia for gifting me a copy of her book to review, and Rosie for organising her Book Review Team, and making it all possible. This is my 100th post on my blog, and I’d like to make it special, especially because my readers are special, and I also feel special and honoured to be able to write this post with all of you in mind. A short time ago, I discovered a Rosie Amber’s Blog through a comment she made on Noelle Granger’s Blog, and I was very impressed. Have a look because it includes book reviews, guest authors, resources for writers, and her amazing ‘Doing Good Deeds’ personal initiative, which is in its second year. I asked to join her book review team and am thrilled to be part of this wonderful group of readers, some of who are also writers, who generously (in their own time with no material reward) and gratefully (because they love reading) read and review books. 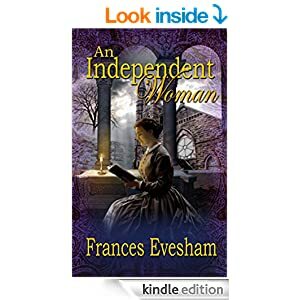 I feel privileged to be part of this generous and grateful group of bloggers and reviewers, and am pleased to include my first review, as part of this group, in my next post. Generosity and Gratitude are two wonderful words which I don’t want to glide over, as if they were simple concepts, because, on the contrary, they are very complex and essential aspects to making this world a better place. Those of you who read my blog know that I’m an enthusiast of ‘playing it forward’, and generosity is the simplest way to do this. Giving someone your time, which is something we will never recover, we are being immensely generous. Listening to someone as well as hearing what they say, reviewing a book thoughtfully, as well as reading it, commenting on a post, as well as skimming through it, speaking to someone, as well as chatting, helping someone, instead of ignoring them, asking, instead of walking by, advising someone instead of watching them act thoughtlessly, are all generous acts we do every day, and may not even realize how valuable they are. Make no mistake: without generosity we would be an indifferent and uncaring society. On the other hand, the most beautiful word in the dictionary has to be ‘gratitude’. According to Margaret Mazzantini, Italian writer and actress, in her novel, Don’t Move ( Non ti muovere), the most beautiful word is ‘grazie’ or ‘thank you’. By using this word, we accept and acknowledge our need of others. Gratitude is always directed to another person who has helped us or given us something we value, and we therefore show our appreciation. Make no mistake: without gratitude, we would be a solitary and selfish society. I’d like to take this opportunity to express my gratitude to all my readers and to all the blogs I follow. I may not always have enough time to comment and drop by, especially during my present (waning) holiday period, but I love reading your posts, full of advice, information, reflections, poems, flash fiction, short stories, photographs, travels, and personal anecdotes, etc. It has taken me about 10 months to write 100 posts, although I started at a slow pace, and have been writing more consistently in the last four months. At this rate, I should be celebrating my 200th post in the New Year 2015! Let’s see!